Although I have written before about my choice not to complete the annual Goodreads Reading Challenge, there are other challenges which I enjoy participating in. One of these is YALSA's annual Hub Challenge. Every year the youth media awards - Newbery, Caldecott, Stonewall, Belpre, etc. - are announced during ALA's Midwinter conference. Some people watch the livestream in their pjs and cheer on the winners. I am usually in the middle of something else (sleeping, commuting, etc.) when the awards are announced, but I definitely look at the final list after the announcement has been made. 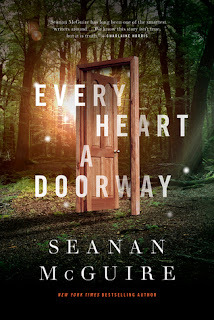 Then YALSA puts together a list of all the books for teens that have won awards or made it to one of several top ten lists, and the challenge is this: read at least 25 of those books between the announcement of the awards and the end of June. The final list is usually around 80 titles, and because I'm me, I generally try to read every single title on the list. I definitely read 25 that I haven't read before for the challenge itself, but then I attempt to conquer the challenge by reading all the other books, at least the ones I haven't yet read. The fun part of this is looking through the list and discovering which books I've already read (usually everything on the Rainbow list as well as the Stonewall winners) and which books I've never even heard of (generally the Alex award winners). I like that this challenge exposes me to a lot of books I wouldn't have read otherwise. For example, I loved Andy Weir's The Martian. Loved it so much that I own a physical copy and have reread it probably five times. This is a book I wouldn't have known about until the movie came out, but I read it because it won an Alex award. Another example is Seanan McGuire's Wayward Children series. Every Heart a Doorway and Down Among the Sticks and Bones each won an Alex award, and these also are books I have copies of and reread occasionally. So each year I start with reading the Alex award winners as well as the Great Graphic Novels, and then I will branch out for other books I haven't yet read but think look interesting. This helps me complete the basic challenge, and then I can slowly work my way through the rest of the list for my own personal challenge. If you'd like to join me in completing the YALSA Hub Challenge, there is a post on their site that can be accessed here.